Draft: 2000, Texas Rangers, 9th rd. Edwin Elpidio Encarnación…resides in La Romana, Dominican Republic with wife, Karen, and son, Edwin Jr. …attended Manuel Toro High School in Caguas, Puerto Rico. The Totals - Hit .246 (123x500) with 74 runs, 16 doubles, 1 triple, 32 home runs, 107 RBI and a .474 slugging mark in 137 games with Cleveland...Benchmark - Eclipsed the 30-home run, 100-RBI mark for the 4th straight season and 6th overall in his career...Leader - Among AL leaders, ranked 3rd in RBI and T9th in home runs...Milestone - Belted his 350th career home run on April 1 at Seattle...Cruising - On April 2 at the Angels, hit his 2nd career inside-the-park home run (also: 8/31/07 at STL w/CIN)...On the Shelf - On the 10-day disabled list, Aug. 11-21, with a right hand contusion, his first DL stint since 2014…hit on the hand in his final at-bat of the first half (7/15 vs. NYY) and persisted over the next month before the transaction…was 8-for-his-last-47 (.170) over 14 games, July 27-Aug. 10, before being removed from the game, Aug. 10 at Chicago-AL...Return - Reinstated from the DL on Aug. 22 and hit a pair of two-run home runs that night at Boston…from Aug. 22-end of season, had a .302/.394/.517 slash line in 33 games...Ribbies - Had 7 games of 4+ RBI, tops in the AL and 2nd-most in MLB (Trevor Story, 8)...Grand Salami - Belted his 11th career grand slam home run on June 23 vs. Detroit...Picking Up Steam - Over the last 5 months of the season, had a .268/.358/.505 slash line...Homer Happy - Recorded 4 multi-home run games, tied for 6th-most in the Majors… his 4 multi-homer games included his third career three-homer game on May 2 at Texas...Start It Up - Made 115 starts at designated hitter and 22 starts at first base. Enjoyed a solid season in his first campaign with the Indians after signing a Major League free agent contract in January...Collected a career-high 104 walks and led the team in home runs and RBI, hitting 20 HR with 59 RBI in the 2nd half...Season got off to a pedestrian start, hitting .198 (26/131) with 2 2B, 5 HR and 12 RBI over his first 37 games with the club (.670 OPS)...From May 16 thru the end of the season he batted .277 (117/423) with 83 runs, 18 doubles, 33 home runs and 95 RBI over the final 120 of the season (.946 OPS)...Enjoyed his sixth straight 30-homer campaign since 2012, the only MLB hitter to do so over that stretch. His 38 home runs were the most by an Indians hitter since Travis Hafner in 2006 (42)...Became only 5th player in Indians history with 30+ HR, 90+ RBI, 90+ runs and 100+ walks in a season (Hafner 2006, Thome 6x, Thornton 1982 and A.L. Rosen 1950).... Full list of Tribe players to ever have 100 RBI/100 BB in the same season: Encarnacion, Travis Hafner (2006-07), Jim Thome (6X), Andre Thornton (1982), A.L. Rosen (1950)... Edwin, Thornton and Rosen are the only right-handed hitters...Drove in RBI 100/101 on Sept. 26 vs. Minnesota. Made 132 starts at designated hitter and 23 starts at first base... Enjoyed three 2-homer games in 2017, May 23 at Cincinnati, June 18 at Minnesota and August 14 at Boston...Now owns 17 multi-homer games since 2014, the 2nd-highest total in MLB behind Giancarlo Stanton's 19...Owns 28 career multi-home run games...Recorded 8th career 4-hit game on July 6 vs. San Diego and enjoyed three games of 4 runs scored this season (has 7 such games in his career)...Reached base safely 5 times on June 15 vs. the LA Dodgers (3 hits, BB, HBP). Had a big second half, hitting .252 (62/246) with 9 2B, 20 HR and 59 RBI in 72 games (.913 OPS, see box at right)...Also ranked 15th in the American League in OPS after the break...From August 11 thru the end of the season he hit 16 HR with 43 RBI over his last 47 games...Heated up again in late August, hitting .320 (33/103) from August 30-on with 20 runs, 5 2B, 8 HR and 31 RBI over his last 29 games ...Hit 12 homers on the road in the 2nd half and has 45 road homers over the last two years...Reached base safely in 32 straight games (hit/walk), August 6-Sept. 9, the longest streak by an Indians batter this season. Batted .269 (74/275) with runners on base for the season...Hit just .218 (17/78) off left-handed pitching in the second half...Batted .322 (29/90) with 24 runs, 7 HR & 20 RBI in June... Ranked 7th in the A.L. in OPS and T3rd in runs for the month... Batted .381 (16-for-42) with runners on base over the last 30 days of the season. Ranked tied for second in the Majors with 127 behind Nolan Arenado's 133 and tied for third with 42 home runs...His 42 home runs matched his career best (2nd time, T-6th highest in a season in team history)…76 of his career-high 158 hits went for extra bases (34-2B, 42-HR), including 53.6% of his hits vs. lefties (15 of 28 hits)... Became the 3rd player in club history with multiple 40+HR seasons and four seasons of 35+HR/100+RBI (Carlos Delgado, Jose Bautista)...Is also the only player in the Majors with 30-HR/100-RBI in four of the last five seasons...Also collected career-bests in extra-base hits, total bases (318) and runs scored (99)...Enjoyed four multi-homer games on the season, the last of which came on Sept. 11 vs. Boston....Now owns 25 multi-homer games in his career (two 3-HR; 23 2-HR games)... His 14 multi-HR contests over the last three seasons are the most in the Majors over that span...Became the first player in the Majors to reach 100-RBI (August 16)...His four seasons of 35+HR/100+RBI ranks T-3rd most among all active players in MLB (Albert Pujols-8, David Ortiz-6, Encarnacion-4, Jose Bautista-4, Miguel Cabrera-4, Ryan Howard-4 & Mark Teixeira-4)...Hit his 300th career home run on Aug. 12 vs. Houston - a solo shot off Will Harris in the 9th inning…Became the 12th active player in the Majors with that many HR & is the 11th different Dominican-born player to reach the 300-HR plateau...His 80 RBI prior to the break led the Majors and were the most he has recorded in a first half (54-RBI in 2015... His 30 RBI in June were the most in AL - 4th player in club history to record that many RBI in the month of June...His 11 HR in June were the most by a Jay in that particular month since Jose Bautista had 14 in 2011...On June 17 at Baltimore had a streak of six straight games with an extra-base hit snapped (9 total XBH)…Also had a streak of seven straight games with an RBI snapped (15 total)…It was the 13th time a Blue Jay has had an RBI in 7 straight games...Hit six home runs over a six game span from June 10-16...On June 10 vs. Baltimore, hit his 5th career walk-off HR, 4th with Toronto…His five walk-off HR are the most in franchise history (Adam Lind-3, Vernon Wells-3, Jesse Barfield-3, Joe Carter-3, Carlos Delgado-3, George Bell-3 & Josh Donaldson-3)...That walk-off HR snapped a 0-for-19 hitless steak… Became the 1st player in club history to end a hitless streak of at least 19 AB on a walk-off HR…The last player in the Majors to have done that was Phil Nevin on May 25, 2006 (0-for-19)...On May 5 vs. Texas recorded his 3rd, 6+RBI game as a Blue Jay, joining Bell and Adam Lind for most in club history...Recorded an OPS of at least .817-or-higher over each of the last five months of the season...Hit a walk-off, 3-run home run in the A.L. Wildcard vs. Baltimore in the 11th inning (off Ubaldo Jimenez) and hit .417 (5/12) w/ 2 HR 7 4 RBI in the ALDS vs. Texas. Became the 4th player in club history to hit 30+ HR in 4+ seasons: Delgado (8), Carter (4) & Bautista (4)…TOR was just the 4th team in MLB history to have 3 players with 39+ HR in the same season. • Was named AL Player of the Month for August…Led the ML in AVG (.407), SLG (.919), XBH (22), TB (79), OPS (1.379)…The .919 SLG & 1.379 OPS are the highest for any month in club history…His .919 SLG ranks as the 9th highest in the month of August in ML history… It was the highest SLG in the month of August since Barry Bonds in 2004 (1.000)...His 1.367 August OPS represents a mark reached by only three others in a calendar month (min. 100 PA) over last 10 seasons. • Marked the 2nd time in his career to receive AL Player of the Month honours…The previous time was also the last time that a Blue Jay had received the award (May, 2014)…Is 4th player in club history to win AL Player of the Month on multiple occasions. • Hit home runs in four consecutive games (Sept. 28-Oct. 3) for the fourth time in his career. • Posted a .233 batting average prior to the All-Star break…Following the break he hit .336. • Set a career-high with 111 RBI…Hit 39 home runs for the second time in his career (last: 42 in 2012). • Had his club record 44-game on base streak snapped September 18 vs. BOS; posted a .451 OBP and .360 average over those contests. • Became just the 3rd player in club history to record 3+ seasons of 35+HR (Delgado-5x, Bautista-4x). • Recorded his 2nd career 3-HR game August 29 vs. DET…It was his 4th multi-HR game of the year and 21st career…Hit his 3rd grand slam of the season becoming the 3rd player in franchise history to record three grand slams in one season (Delgado-1997, Fletcher-2000)…Drove in 9 runs matching the club record set by Roy Howell Sept. 10, 1977…It was the 18th time in club history that a player hit 3HR in a game (last: Bautista, May 15, 2011 at MIN). • Was the first Blue Jay since Jose Bautista (2010) to record 13, 3+RBI games in a season • Had his career-high 26G hit streak snapped Sept. 1 vs. CLE…It was the longest such streak in MLB in 2015…That streak is T-2nd for the longest hitting streak in club history behind Shawn Green's 28G streak in 1999…Hit .412 (40-97) over those 26 games. • Recorded his 100th RBI, 3rd time in his career (spanning over last four seasons)…Is 2nd in the ML since 2012 with 423 RBI (Miguel Cabrera-1st 461). • Belted his 22nd HR of the year August 18 at PHI…Was his 180th HR as a Blue Jay, surpassing Jesse Barfield for sole possession of 6th on the club's all-time list. • Became the 6th Jay to record 5+, 20+HR seasons August 5 vs. MIN, joining Carlos Delgado (9), Joe Carter (7), Vernon Wells (7), George Bell (6) & Jose Bautista (6)…Had his streak of reaching base safely multiple times in nine consecutive games snapped…That streak matched Jose Bautista's club record set in 2010. • Set a new club mark for most career home runs by a DH in franchise history after hitting his 63rd on July 1 vs. BOS to surpass Adam Lind. • Hit his 4th career walk off HR (3rd with TOR) June 9 vs. MIA. • Recorded a SB on May 9 vs. BOS marking the 3rd time in his career to hit a HR & steal a base in the same game (last: April 29, 2012 vs. SEA). • Hit 8 HR in May, T-2nd in the AL (Fielder-9)...His 46 HR in the month of May since 2010 ranks 1st in the ML (2nd - Jose Bautista, 45). • Became the 3rd player to hit multiple home runs in his career into the 5th deck April 21 vs. BAL…It marked the 10th time a Jay has hit a HR into that level…Overall, it was the 18th ball that has been launched into the 500 level in the history of the building...Collected his 18th career multi-game HR (last: June 20, 2014 at CIN)…His 2nd HR was in the 500 level, the second time he has done that in his career (last: April 30, 2013 vs. BOS). Recorded five multi-hit games in the postseason, T-1st in the AL through the first two rounds of the playoffs. • Hit his first career postseason home run in game five of the ALDS vs. TEX, a game-tying shot in the 6th inning…Reached base safely in all four plate appearances in the series-clinching game. • Was removed from game one of the ALCS with a left middle finger ligament sprain. • Ranked T-3rd in walks through the first two rounds of the playoffs with seven…His three intentional walks were the most through the LDS and LCS rounds among all ML players and set a record for most issued to a Blue Jays player in the postseason in club history. • His .383 OBP in the 2015 playoffs is the 8th highest by a Blue Jay during the postseason in franchise history. Prior to May 1, hit .250 with 2-HR, 15-RBI & .747 OPS in 27 games...In his 92 games following that date he hit 31-HR, 74-RBI & .948 OPS...Recorded at least 20-2B and 25-HR for the 3rd straight season...Earned his second consecutive All-Star honour, but did not play due to injury...Finished the season with 158 career HR for TOR, placing him 7th on the club's all-time HR list, and now sits 21 HR shy of Jesse Barfield (179) for 6th place...From May 15-29, had 12 HR in 14G… It was just the 5th time since 2001 that someone has hit 12-HR in 14G (Troy Tulowitzki-2010, Ryan Howard-2006, Sammy Sosa & Barry Bonds in 2001)...Had four multi-HR games over that time (14G), becoming just the 5th player in MLB history to accomplish that feat in that time...During that stretch, he also had 10HR in 11G (5/18-29)...Had 16 HR in May (1st in ML) and 33 RBI (2nd in ML)...His 22 XBH ranked 1st in ML...The 16 HR in May set a new franchise record for most in a calendar month (Bautista, 14 in June 2012)...The 33 RBI in May is a career-high for most RBI in a month, also sets a new Blue Jays record for most RBI in May surpassing George Bell's mark of 31 in 1987… Is the 1st player to hit 14+ HR in May in one season after hitting no more than 2-HR that year through the end of April...He led the Majors in May with 16-HR, 22-XBH, .763 SLG & 2nd with 33-RBI...The 16-HR in May was the most by any player in the month of May since Barry Bonds hit a ML record 17-HR in 2001...It is also T-2nd on the all-time MLB list with Mickey Mantle (1956) & Mark McGwire (1998)...The 16-HR was the most hit in any month since Sammy Sosa hit 17-HR in August, 2001...The 33-RBI recorded in May by Edwin was the most in club history for that month & was one shy of the franchise mark in any calendar month held by Carlos Delgado (34-RBI in June, 2003)...The 22-XBH in the month of May was the most recorded in this month by any Jay in franchise history…The 22-XBH is T-2nd most in any month in TOR history with John Olerud (June, 1993) & Joe Carter (June, 1991)...No other player in ML history who hit fewer than 3-HR during April, reached the 20-HR mark as quickly as he did…By hitting his 20th HR on June 9, he surpassed the previous record by two days & that mark was a part of baseball history…Roger Maris hit only 1-HR in April 1961, but he hit his 20th on June 11 en route to a record-breaking total of 61 for the season...His home run on July 2 was the team's lone walk-off HR of the year...Record his 5th multi-HR game in May over a 21-game span on May 29 vs. KC...The five multi-homer games tied an MLB record for most multi-HR games in any calendar month (Albert Belle: Sept., 1995 & Harmon Killebrew: May, 1959)...Finished the season with six multi-HR games...Connected for his 6th multi-home run game of the year (17th career) June 20 at CIN…His 6-RBI in the game set a new career-high...Was named as AL Player of the Week (May 5-11), his 4th career weekly honour and 3rd as a Blue Jay…Over those seven games, hit .321 (9-28) with 7-XBH (2-2B, 1-3B, 4-HR)…It marks the 3rd time he has won this award as a Blue Jay (Sept. 27-Oct. 3, 2010 & July 22-28, 2013)...Hit a 3B & a HR in the 7th inning becoming the 1st Blue Jay to accomplish the feat in the same inning May 7 at PHI...Was the 1st player in the Majors to do that since Luis Rivas of CLE at SEA on Sept. 26, 2007 (GM 1 of DH)...Is the 12th player since 1974 to have a 3B & HR in the same inning…Only player in club history to have recorded 2-XBH in the same inning twice (last: July 26, 2013 vs. HOU, 2-HR)...Was the 13th time in club history that this has happened...Was on disabled list from July 7-Aug.15 with a strained right quadriceps…In the 33 games he was absent team posted a 16-17 record...Set a new career-high with 4-BB Sept. 2 at TB...Collected RBI in six straight contests from April 26-May 2 (10 RBI total). Is one of four Blue Jays, all-time, to record back-to-back seasons of 35+ HR/100+RBI…Joins Carlos Delgado (1998-2001), Jose Bautista (2010-2011) & Shawn Green (1998-1999) as the only Jays to do so. Became the 1st player in club history to finish a season with at least 35-HR (36), less than 65-SO (62) & had more walks (82) than strikeouts…The last player in the majors to accomplish this was Albert Pujols in 2011 (37-HR, 61-BB, 58-SO)…Was the 1st AL player to do so since Frank Thomas (CWS) in 1994 (38-HR, 109-BB, 61-SO). Became the 1st Blue Jays player to hit two home runs in the same inning (7th inning) on July 26 vs. HOU since Joe Carter accomplished the feat on October 3, 1993 at BAL (2nd inning)…Became the 1st Blue Jay in club history to record five RBI in a single inning. Recorded 50-RBI prior to June 8 (60-games)…It marked the 1st time that has happened by a Blue Jay in a season since Carlos Delgado (66 RBI/62 games) & Vernon Wells (59 RBI/63 games) both accomplishing the feat in 2003. Was named AL Player of the Week for the week of July 22-28… It was his 3rd career weekly honour & his 2nd while with TOR (last accomplished the week ending Oct. 3, 2010). Now has 124 career home runs for the Blue Jays, passing Jose Cruz (122) for 11th on the club's all-time home run list, and is 1-HR shy of Fred McGriff (125) for 10th on that list. Ranked as the 4th hardest player to SO in the AL in 2013 at 10.02 PA/K (A. Callaspo led with 10.98). Named the Honda Player of the Month for April by the Toronto Chapter of the BBWAA …It was his 3rd consecutive award & the 4th since the beginning of 2012. Had a four-game home run streak from April 23-26 becoming the 1st player to have three streaks of four or more consecutive games with a home run in their Blue Jays career. Was selected by his peers to play in his first career MLB All-Star Game going 0-2 after entering the game in the 7th inning. Collected his 1,000th career hit August 31 vs. KC. Played in his 1,000th career game June 10 at CWS. Set career highs in most offensive categories, including home runs (42), RBI (110), walks (84) and stolen bases (13)...Among AL hitters ranked 1st in HR/AB (12.90), 3rd in OPS (.941), T-3rd in RBI (110), 4th in HR (42), 5th in SLG (.557), OBP (.384), 7th in BB (84) and T-10th in XBH (66)...One of six players in the Major Leagues to have hit 40+ HR in 2012... Was one of eight players to have reached the 40 HR mark dating back to 2010... 21 of his 42 home runs have come with two strikes which led the Majors, with 10 of his 42 homers coming on a 1-2 pitch... Had at least five home runs in each month, the first Blue Jay to do so since Aaron Hill in 2009...Earned Honda Player of the Month honours for the club in April, August and September... Posted a .322 average with eight home runs and 22 RBI in April, .270 with seven home runs and 18 RBI in August and also had seven home runs and 20 RBI in September...Had a four-game home run streak April 27-30... Became one of three players (Delgado/Carter) to have two streaks of four or more consecutive games with a home run in their Blue Jays career...April 28 vs. SEA hit his 4th career grand slam... July 14 vs. CLE added his 8th multi-HR game of his career...Batted .305 with 23 home runs and 91 RBI with runners on base and with runners in scoring position, batted .311 with nine home runs and 61 RBI... In close and late situations batted .310 with four home runs and 10 RBI...Started 82 games at DH, 66 at 1B, 2 in LF and one at 3B. Appeared in 134 games, his most in his three years as a Blue Jay... CORNER GUY: Played 36 games at third base, 25 games at first base and the balance as a pinch hitter or designated hitter... DH/1B: When appearing at first or thedesignated hitter position batted .298 with 24 doubles, 14 home runs and 47 RBI... When appearing at third base his offense dipped to .213 with12 doubles, three home runs and eight RBI... DAILY DOUBLE: Recorded 36 doubles which was the highest total on the club, ranking 14th in the AL... Had the highest number of doubles in the AL for anyone with under 500 at-bats... Had multi-double contests on four occasions... TIME FOR A BREAK: In the first half batted .255 with six home runs and 19 RBI... In the second half improved to .291 with 11 home runs and 29 RBI... Walked only nine times in the first half producing a .283 OBP, as opposed to drawing 34 walks in the second half, producing a .382 OBP... SLOW START: Missed time in April due to left wrist soreness and spent time on the bereavement list... Made six of his 12 errors in April and did not hit his first home run of the season until May 29 vs. CWS... Did not record a multi-RBI game until June 11 vs. BOS... JULY/AUGUST: Had his best months in the summer, posting a .310 average with 16 doubles and 10 home runs, recording 25 of his 43 walks on the season... BETTER DAYS: Had a season high 13-game hit streak from July 31-Aug. 14, and hit in 21 of 23 games from July 24-Aug. 19... Had a stretch of reaching base safely in eight consecutive plate appearances from Aug. 7-10... Aug. 16 reachedbase in four of his five plate appearances, matching a career high (2nd time) with three walks... Sept. 7 vs. BOS recorded five RBI matching his career high (2nd time)... Recorded a walk-off home run on Sept. 22 vs. LAA, his 2nd career... LEFTY/RIGHTY: Was equally proficient vs. lefties and righties, batting .276 vs. lefties and .271 vs. righties.... WINTER BALL: Played in the Dominican Winter League posting a .133 average (2-15) with one home run and four RBI. Played in 96 games this season for the Blue Jays starting 95 times at 3B and once as the DH... 20+:Hit 20+ home runs for the second time in his career and the first time since hitting a career high 26 in 2008... Was one of seven Blue Jays to hit 20 or more home runs this season... FINISHING STRONG: Was named AL Player of the Week forthe last week of the regular season ending October 3 by hitting .400 (8-for-20) in six games with five home runs and 11runs batted in... The week also included hitting a home run in four consecutive games (five total) in the last series of theseason at MIN... IN THE MINORS: Was optioned to Las Vegas (AAA) June 20 and then outrighted June 21... In sevengames hit .438 (14-32) with two doubles, three home runs and 10 runs batted in... Had his contract selected from LasVegas on July 2...Was placed on the disabled list Aug. 28 with a sprained left wrist...Returned to action on Sept. 13... HATTRICK:Hit three home runs in a game for the first time in his career May 21 at ARI which was his 5th multi-homer game inhis career... Became only the 2nd Blue Jays third baseman to homer three times in one game (Darnell Coles July 5/94 atMIN)...Also was the first three home run game by a Blue Jay in Interleague play... Was T-4th in the ML with six home runsin Interleague games... Had eight 3-hit games... Had a .914 OPS vs. left-handed pitching... Batted only .183 with runnersin scoring position. Acquired on July 31 along with RHP Josh Roenicke & RHP Zachary Stewart from Cincinnati, in exchangefor 3B Scott Rolen... Appeared in 85 games between Cincinnati & Toronto, batting .225 with 13 home runs and 39 RBI... AS A REDLING: Was in his 5th season with the Reds before being dealt... Played in 43 games, hitting .209 with five homeruns and 16 RBI... July 17 vs. MIL, tied career high for the 3rd time, with four hits... TOUGH START: Recorded the lowestbatting average in the majors among regulars in April posting a .127 mark, with only one home run... TIME FOR A BREAK:Suffered a broken wrist at the end of April that sidelined him for two months... Returned to the lineup on July 3 a saw hisbatting average rise from .127 to .228 over a span of 12 days, adding three home runs... WELCOME TO TORONTO: Madehis Blue Jays debut on Aug. 1 at OAK, going 1-4... Collected hits in 11 of his first 14 contests, although added only onehome run... His first multi-hit game did not come until his 23rd game as a Blue Jay, however he would go on to recordseven from Sept. 11 onward... STRONG FINISH: Batted .274 in Sept./Oct. with seven of his 13 home runs and 20 of his39 RBI coming in the seasons final month... BOMBS AWAY: Sept. 22 vs. BAL belted two home runs, matching a careerhigh, now done on four occasions... His seven home runs were 3rd on the club in Sept./Oct. behind Jose Bautista (10)& Adam Lind (8). Produced 26 homers in 146 apps, both career highs...ranked second on the club in home runs behind Adam Dunn's 32...led the club with 141 starts at 3B and 81 starts batting sixth in the order... also hit third (1gs, 8/4 vs Mil), fourth (16gs), fifth (29gs) and seventh (14gs)...on 8/4 vs Mil batted third in thelineup for the 10th time in his career (9gs batting third in 2006)...produced his third career 2-homer game(4/20 vs Mil), a grand slam (8/29 vs SF, off Barry Zito) and a walkoff HR (4/2 vs Ari)...participated in 5 of theReds' 9 sets of back-to-back HR...produced the first of the Reds' 11 walkoff victories, in the bottom of theninth of the 6-5 win on 4/2 vs Ari hit a 3-run HR off Brandon Lyon...had 33 multi-hit games, including four 3-hitgames...in April led the team in HR (7) and RBI (15)...from 4/10-4/24 produced a career-high 14-game hittingstreak (.377, 5hr, 8rbi), raising overall BA from .083 to .286...was the longest hitting streak by a Reds batterall season...from 4/8-5/5 reached base safely in 25 straight games (.304, 6hr, 13rbi, 10bb)...in the 4-1 win on4/10 at Mil snapped a season-high 0-for-18 skid with a 2-run HR off Carlos Villanueva in the seventh inningthat broke the 1-1 tie...on 5/21 at LAD produced the 200th RBI of his career (sac fly off Hiroki Kuroda)...in the10-inning, 6-4 loss vs Bos on 6/14 tied the game at 4-4 in the ninth with a 2-out, 2-strike homer off JonathanPapelbon...on 8/29 vs SF had a grand slam and a career-high 5rbi...his double on 8/31 off SF's Billy Sadlerwas the 100th of his career...on 5/23 and 5/24 missed 2g because of the flu...on 6/6 at Fla was hit on theleft elbow by a Justin Miller pitch and missed 1 start...from 6/24-6/28 missed 5g with low back spasms...on9/17 was scratched with a mild sprain of his left wrist and missed 5g...suffered that injury on a checked swingvs Randy Johnson on 9/13 at Ari...was ejected twice, by HP umpire Eric Cooper on 5/22 at SD for arguingballs and strikes and by 3B umpire Chad Fairchild on 7/1 vs Pit for arguing a play at third base...were thefirst ejections of his career...made 2 regular season apps for Aguilas in the Dominican Winter League beforejoining that team for the playoffs. In his second full season as the Reds' starting third baseman led the club in hitting (.289),hitting with RISP (.360) and hitting on the road (.309)...ranked among the National League leaders in hitting with RISP (3rd), hitting on the road (9th) and times hit by a pitch (14, T4th)...led the club with 40 starts battingsixth in the order and 134 starts at 3B...his career-high 41 multi-hit games tied Ken Griffey Jr. for second onthe team behind Brandon Phillips (56)...began the season with the Reds and in 31g and 28 starts hit .218(1hr, 14rbi, 6e) before he was optioned to Louisville on 5/10...was recalled on 5/22 after 11 apps for the Bats(19-46, .413, 3 2b, 3hr, 7rbi, 1sb)...in his 108 apps for the Reds after that recall hit .307 (15hr, 62rbi, 10e),including .351 (8hr, 29rbi) in his last 42g of the season...in September led the club in total bases (50), HR (5)and RBI (18), tied for the team lead in doubles (7) and ranked second in BA (.322)...from 8/26-8/30 produced5 consecutive multi-hit games (.455, 10-22), the longest multi-hit streak of his career...on 4/16 vs Mil snappeda career-high 0-for-22 skid with a 2-run single off Greg Aquino...that skid was part of a 1-for-34 stretch from4/8-4/21...on 5/5 vs Col hit his first career pinch-hit HR (off Aaron Cook)...in the 5-4 win vs Chi on 7/27 produceda game-ending RBI-single off Bobby Howry...on 8/31 at StL hit an inside-the-park HR (off Anthony Reyes),the first of his career and the first in the 2-year history of new Busch Stadium...following the season made 17apps for Aguilas Cibaenas in the Dominican Winter League (.228, 1hr, 8rbi). In his first full Major League season appeared in 117g, most of them as the Reds' starting third baseman...led the club with 33 doubles and 109 starts at 3B...became the first Reds third baseman to lead the club in doubles since Chris Sabo in 1993...at 26 years, 86 days old was the youngest player to start at3B for the Reds on Opening Day since Dan Driessen in 1974 (22 years, 249 days)...was the National LeaguePlayer of the Week for 8/7-8/13 after hitting .440 with 8rbi and leading the NL in HR (4), total bases (24) andslugging percentage (.960)...from 6/9-7/5 missed 25g while on the 15-day disabled list with a sprained leftankle...didn't go hitless in consecutive games until that injury and didn't go hitless in consecutive starts until7/28 and 8/2, his 58th and 59th starts...on 7/6 was reinstated from the DL and immediately began an 8-gamehitting streak (.444, 1hr, 6rbi)...reached base safely via hit, walk or HBP in 98 of his 117 apps...made his firstprofessional apps at 1B, in the 12th inning on 5/14 at Phi and a start on 10/1 at Pit...batted second (3gs),third (9gs), fourth (39gs), fifth (19gs), sixth (25gs), seventh (13gs) and eighth (2gs)...in August hit .317, tiedfor the club lead in HR (7) and led the club in RBI (24)...in September hit .205, including .146 (1hr, 2rbi) inhis last 15g of the season to drop overall BA from .295...had 1hr in his last 38g, including season-high powerdroughts of 28g and 105ab (8/19-9/19)...produced a team-high 24rbi in April, tied for third-best in the NationalLeague...tied Ken Griffey Jr. (2000) for the highest RBI total by a Reds batter through April since 1974...on4/11 at Chi hit his first career grand slam (off Will Ohman)...in the 9-8 victory on 4/19 vs Fla doubled to drivein the game-ending run...on 4/29 vs Hou hit his first career triple (off Joe Borowski)...produced his first career2-homer games 5 days apart (8/11 at Phi, 8/16 at StL)...following the season made 3 apps for Aguilas Cibaenasin the Dominican Winter League. Prior to the season was named by USA TodaySports Weekly as the best hitter in the organization and by Baseball America as the minor leagues' fifth-best prospect at third base..following the season was rated by BA as the sixth-best overall prospect in the International League...in his first season at ClassAAA was the organization's Minor League Hitter ofthe Year, an International League mid-season andpost-season All-Star, a Baseball America Class AAAAll-Star and a member of the XM Satellite RadioAll-Star Futures Game world roster...at the Triple-AAll-Star Game in Sacramento, an 11-2 loss to thePacific Coast League All-Stars, he homered to earn International League Player of the Game honors...in his MajorLeague debut appeared in 69g during 2 stints with the Reds(6/24-7/5, 7/23-end of season)...became the club's startingthird baseman on 7/23, when Joe Randa was traded to thePadres...made all 55 of his starts at 3B...in the batting orderhit second (1gs, 9/4 at Atl), sixth (1g, 10/2 at StL), seventh(17g), eighth (35g) and ninth (1g)...25 of his 49 hits were forextra bases (16 2b, 9hr)...hit 4 homers in his last 18g...had 102-hit games and a season-high 3-hit game on 7/26 at LA...began the season at Louisville and appeared in 69g there(.292, 12hr, 46rbi, 6sb) before he was recalled on 6/24, whenOF Kenny Kelly was disabled...for Cin hit .222 in 10g and 3starts before he returned to Louisville on 7/6, when IF AndersonMachado came off the disabled list...was promoted again on7/23, following the Randa trade...spent the rest of the seasonas the Reds' starting third baseman and hit .233 in his last 59g...on 6/24 at Cle made his Major League debutin a start at 3B (0-4, 2k)...on 7/1 vs Hou recorded his first Major League hit, a pinch-hit ground-rule doubleoff Andy Pettitte...on 7/26 at LA recorded his first career stolen base...on 7/29 at SD produced his first careerRBI (fifth-inning double off Brian Lawrence) and first career home run (seventh inning off Craig Breslow)...on8/2 vs Atl became the first Reds third baseman to commit 3 errors in a game since Willie Greene on 4/9/96vs NYM...for the Bats produced hitting streaks of 12g (4/21-5/5) and 11g (6/21-7/22)...led Louisville with 52starts batting cleanup and 75 starts at 3B...following the season played for Aguilas in the Dominican WinterLeague (31g, .265, 4hr, 18rbi). At Class AA Chattanooga was a Southern League All-Star...led the league in doubles (35)...also ledthe Lookouts in walks (53) and ranked second on the club in hits (132), total bases (208), HR (13) and RBI (76)...made 119 of his 120 apps as the team's starting third baseman...in 4g during the Southern League playoffs went 8-for-15(2hr, 7rbi)...following the season played for Aguilas in the Dominican Winter League (48g, .266, 4hr, 18rbi, 5sb). Entered the season as the fourth-best prospect in the organization as rated by Baseball America...was selected to participate in the Futures Game during All-Star Game weekend at Chi's U.S. Cellular Field...at Class A Potomac and Class AA Chattanooga combined to hit .294 (11hr, 65rbi, 15sb) in 125g...among all Reds minor leaguersranked sixth in batting average...began the season at Chattanooga and hit .220 in 31g before he was transferred toPotomac on 5/14...with the Cannons hit .321 (6hr, 29rbi) in 58g...was named Carolina League Player of the Week for6/26-7/2...from 6/17-7/4 produced a season-high 13-game hitting streak (22-49, .449, 1hr, 7rbi)...earned a promotionback to Chattanooga on 7/25...finished the season with the Lookouts and batted .310 (4hr, 22rbi) in 36g. Career highlights: Enters the 2004 season as the organization's top hitter as rated by USA Today SportsWeekly and the organization's No. 2 prospect as rated by Baseball America...participated in the Futures Game duringthe 2003 All-Star Game weekend at Chi's U.S. Cellular Field...was Carolina League Player of the Week for 6/26-7/2,2003...in 2002 was a Midwest League All-Star and was selected to play in the ML All-Star Game...was Midwest LeaguePlayer of the Week for 6/24-6/30, 2002...in 2001 received honorable mention on the Pioneer League All-Star team. At Class A Dayton ranked among the Midwest League leaders with 17 homers (T4th) and 237 total bases (5th)...was selected to play in the Midwest League All-Star Game...was a Midwest League All-Star and Midwest League Player of the Week for 6/24-6/30...following the season played for Aguilas in the Dominican Winter League. Began the season with the Rangers' Class A affiliate at Savannah and was traded to the Reds on 6/15...first was assigned to Class A Dayton,where he hit .162 in 9g, and then on 6/30 was transfered to rookie Billings...was the Mustangs' top hitter during the playoffs (.478, 1hr, 4rbi) and helped the club win the Pioneer League championship...received honorable mention onthe PL's All-Star team.. In his first pro season hit .311 in 51g for the GCL Rangers. December 13, 2018 Cleveland Indians Traded DH Edwin Encarnacion and Future Considerations to Seattle Mariners; Tampa Bay Rays Traded OF Jake Bauers to Cleveland Indians; Seattle Mariners Traded 1B Carlos Santana to Cleveland Indians; Cleveland Indians Traded 3B Yandy Diaz and RHP Cole Sulser to Tampa Bay Rays and Tampa Bay Rays Traded cash to Seattle Mariners. August 22, 2018 Cleveland Indians activated DH Edwin Encarnacion from the 10-day disabled list. August 12, 2018 Cleveland Indians placed DH Edwin Encarnacion on the 10-day disabled list retroactive to August 11, 2018. Right hand contusion. January 5, 2017 Cleveland Indians signed free agent DH Edwin Encarnacion. November 3, 2016 DH Edwin Encarnacion elected free agency. July 11, 2016 Toronto Blue Jays activated DH Edwin Encarnacion. July 10, 2016 DH Edwin Encarnacion roster status changed by Toronto Blue Jays. August 15, 2014 Toronto Blue Jays activated DH Edwin Encarnacion from the 15-day disabled list. August 12, 2014 Toronto Blue Jays sent 1B Edwin Encarnacion on a rehab assignment to Buffalo Bisons. August 9, 2014 Toronto Blue Jays sent 1B Edwin Encarnacion on a rehab assignment to Dunedin Blue Jays. October 1, 2013 Toronto Blue Jays activated 1B Edwin Encarnacion from the 15-day disabled list. September 17, 2013 Toronto Blue Jays placed 1B Edwin Encarnacion on the 15-day disabled list retroactive to September 16, 2013. Left wrist injury. December 15, 2011 Edwin Encarnacion assigned to Aguilas Cibaenas. December 1, 2011 3B Edwin Encarnacion assigned to Aguilas Cibaenas. April 18, 2011 Toronto Blue Jays activated 1B Edwin Encarnacion from the bereavement list. April 15, 2011 Toronto Blue Jays placed 3B Edwin Encarnacion on the bereavement list. 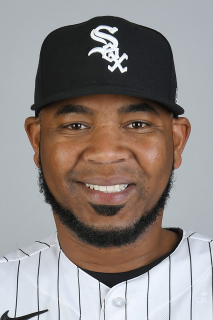 December 26, 2010 Gigantes del Cibao claimed 3B Edwin Encarnacion off waivers from Aguilas Cibaenas. December 16, 2010 Toronto Blue Jays signed free agent 3B Edwin Encarnacion. December 2, 2010 3B Edwin Encarnacion elected free agency. November 30, 2010 Edwin Encarnacion assigned to Aguilas Cibaenas. November 12, 2010 Oakland Athletics claimed 3B Edwin Encarnacion off waivers from Toronto Blue Jays. September 13, 2010 Edwin Encarnacion roster status changed by Toronto Blue Jays. September 10, 2010 sent 3B Edwin Encarnacion on a rehab assignment to New Hampshire Fisher Cats. August 29, 2010 Toronto Blue Jays placed 3B Edwin Encarnacion on the 15-day disabled list. Sprained left wrist. July 3, 2010 Toronto Blue Jays selected the contract of 3B Edwin Encarnacion from Las Vegas 51s. June 23, 2010 Edwin Encarnacion assigned to Las Vegas 51s from Toronto Blue Jays. June 21, 2010 Toronto Blue Jays optioned Edwin Encarnacion to Las Vegas 51s. May 18, 2010 Edwin Encarnacion roster status changed by Toronto Blue Jays. May 14, 2010 sent 3B Edwin Encarnacion on a rehab assignment to Dunedin Blue Jays. April 21, 2010 Toronto Blue Jays placed 3B Edwin Encarnacion on the 15-day disabled list retroactive to April 15, 2010. Sore right shoulder. September 5, 2009 3B Edwin Encarnacion assigned to Toronto Blue Jays. August 24, 2009 Toronto Blue Jays placed 3B Edwin Encarnacion on the 15-day disabled list retroactive to August 21, 2009. Strained left hamstring. August 20, 2009 Edwin Encarnacion roster status changed by Toronto Blue Jays. August 1, 2009 Toronto Blue Jays activated 3B Edwin Encarnacion. July 31, 2009 Cincinnati Reds Traded 3B Edwin Encarnacion and RHP Josh Roenicke to Toronto Blue Jays; Toronto Blue Jays Traded 3B Scott Rolen to Cincinnati Reds and Louisville Bats Traded RHP Zach Stewart to Blue Jays Organization. July 3, 2009 Edwin Encarnacion roster status changed by Cincinnati Reds. June 21, 2009 sent 3B Edwin Encarnacion on a rehab assignment to Louisville Bats.